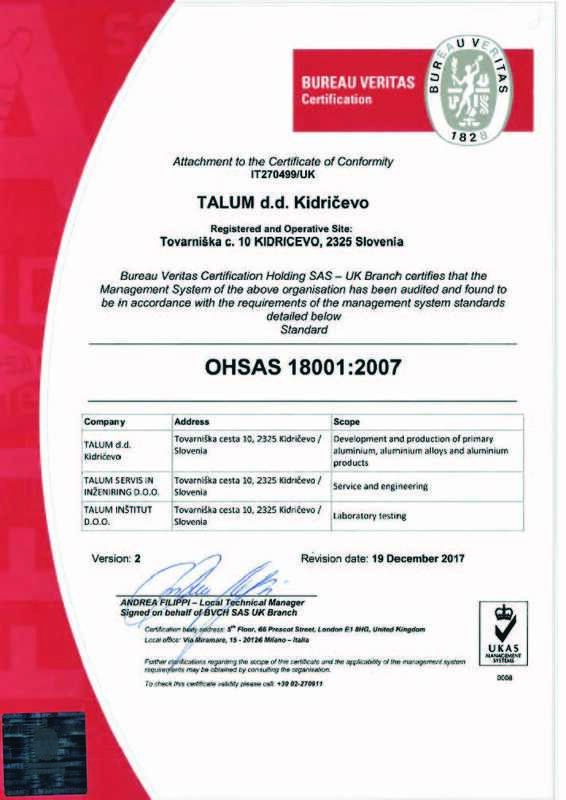 On the 1st of January 2005 Slovenia, thereby also Talum, entered the Scheme of Trading with Emission Coupons in the area of the European Union countries. By this entering we assumed an obligation of producing emissions of carbon dioxide (CO2) in proportion to the given emission coupons. This means that we have to ensure the exact quantity of these coupons, which will correlate with the amount of our CO2 emissions. 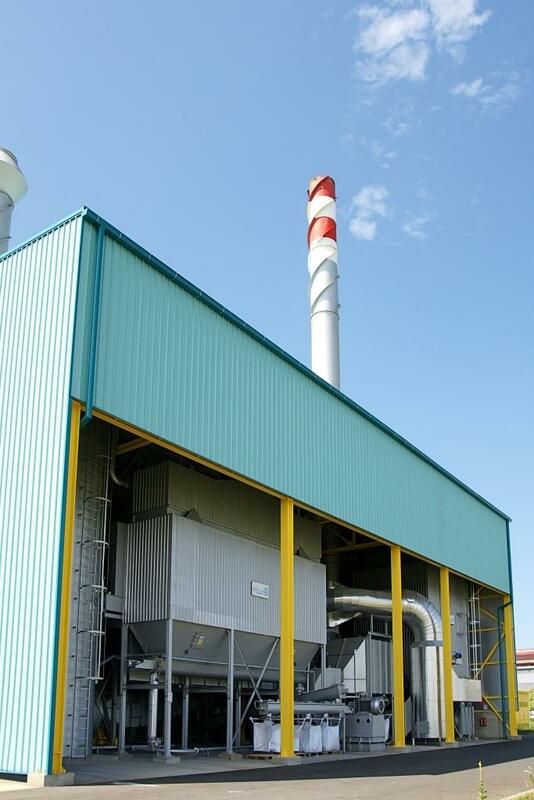 If our produced amount of the CO2 emissions exceeds the given quantity of the emission coupons, we will have to find complement margin on the market of emission coupons. In case of surplus, we will be able to offer these coupons to other partakers, who will appear on the enquiry side. 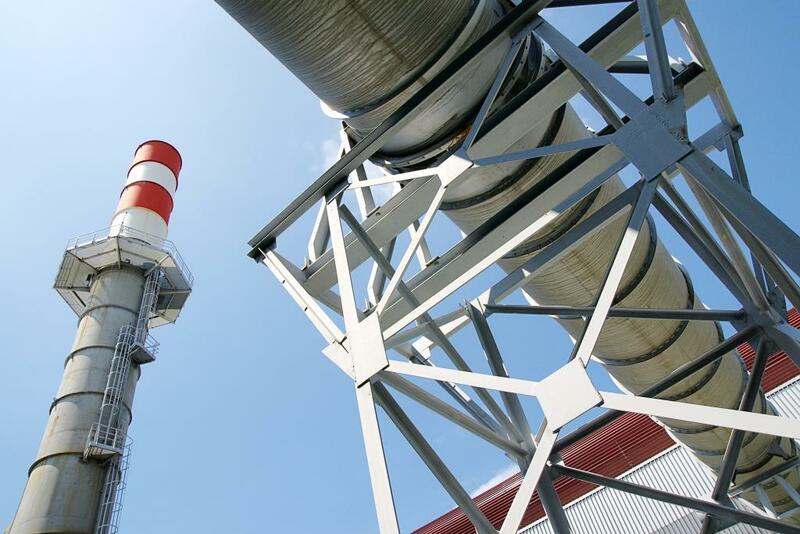 Handover of the emission coupons means liability to the country, which has to report further to the European Commission about fulfilling the liabilities at the national level. The national goal is shown in fulfilling the requirements, accepted within Kyoto Protocol. If the companies do not fulfil their obligations, the country as well will not be successful in the mentioned field. It is certainly true, that this new economic instrument, known as trading with the emission coupons, can be more successful than traditional economic instruments. 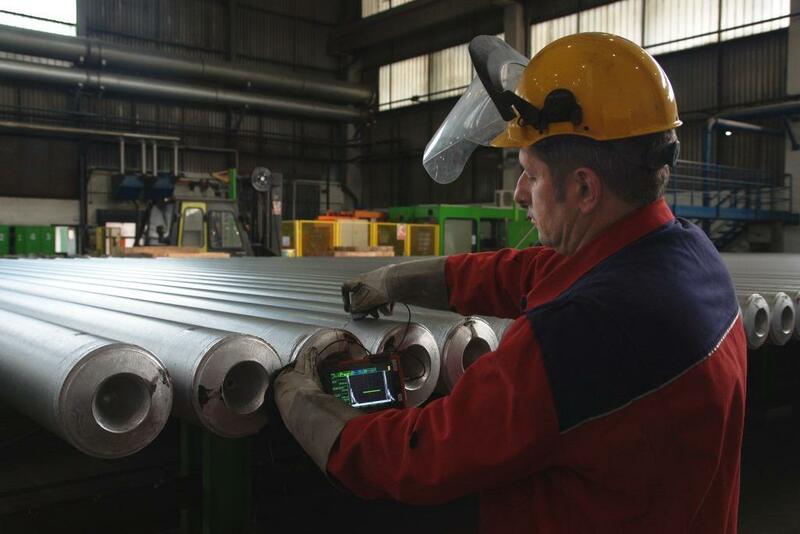 Its greatest advantage is flexibility, which is shown in a possibility of transferring technologies and coupons among managers of operating plants. The quality is a driving force of all our activities. In the contemporary business operation, the quality is becoming a dominant factor of the company’s successfulness. We have conquered the concept of complete quality, which means much more than just a set of technical features of the product. 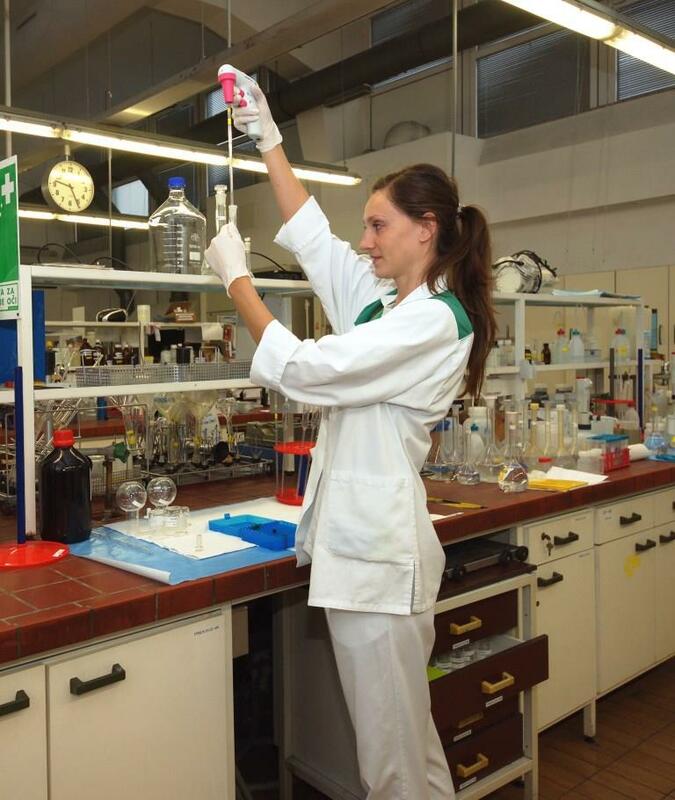 Moreover, the quality enables us to be successful on the increasingly demanding markets. We want to convince them with products and services of the highest quality. 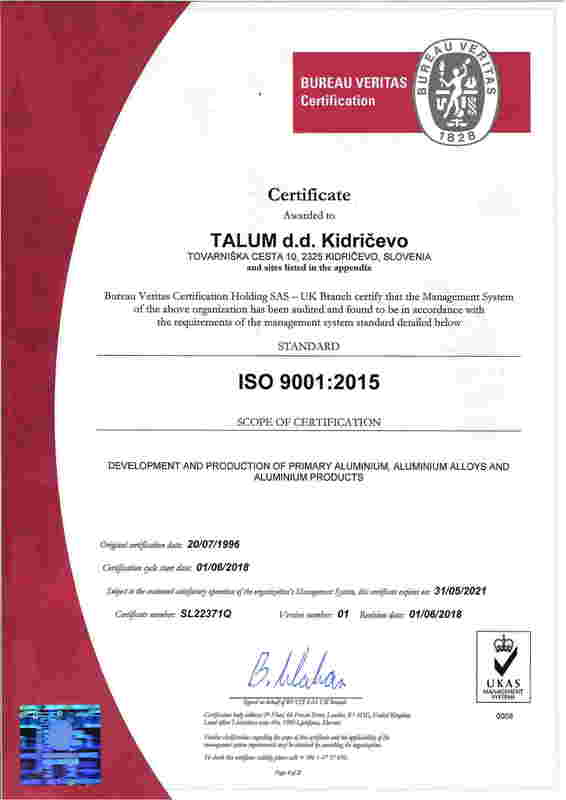 For this purpose we operate in accordance with the quality standard ISO 9001:2015 (PDF),which certificate we have as well acquired. The environment is not just space where we live, but also the space where people represent its inseparable part. We have established and confirmed the system of environmental management, with which we manage effects of our activities that have consequences in immediate and broader environment. 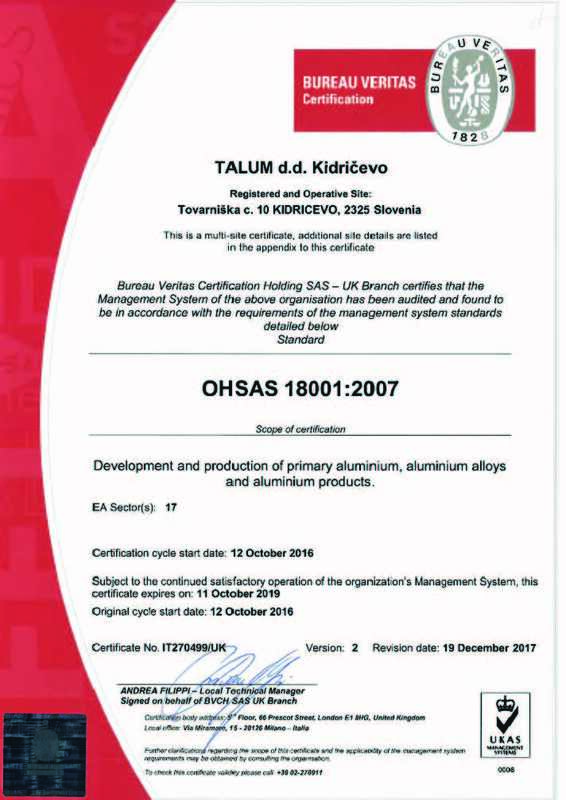 material use or construction of new facilities, which was particularly shown with the project of enlarging the range of the primary aluminium production. The goal is sustainable development with constant improvements, which enables us to be environment-friendly company that considers economic and social aspects. 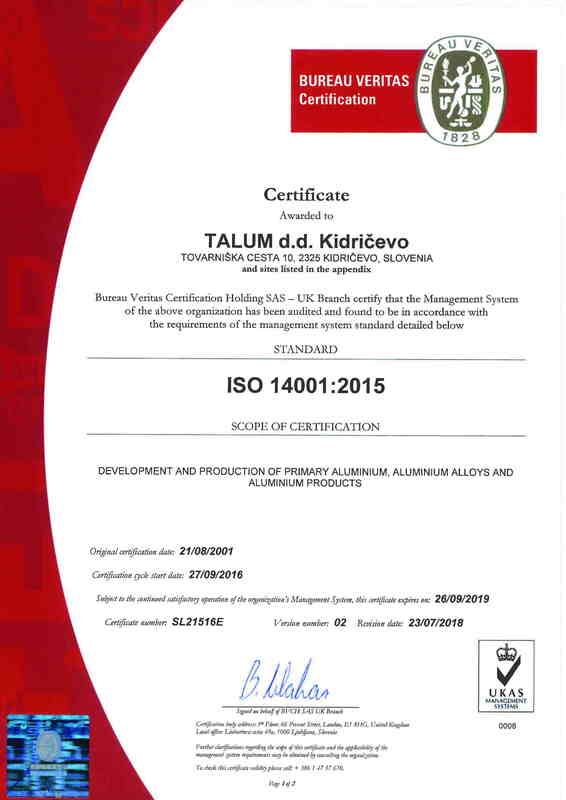 A tool that we use for this purpose is the standard ISO 14001, which is included in the integrated management system: environment, quality, and safety and health at work. 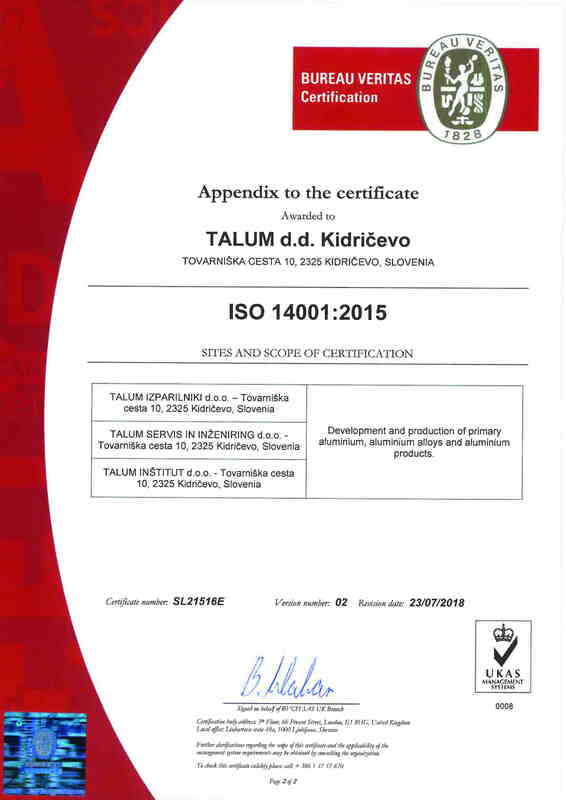 We have successfully supported the standard in accordance with the certificate (PDF) that we acquired in the year 2001. 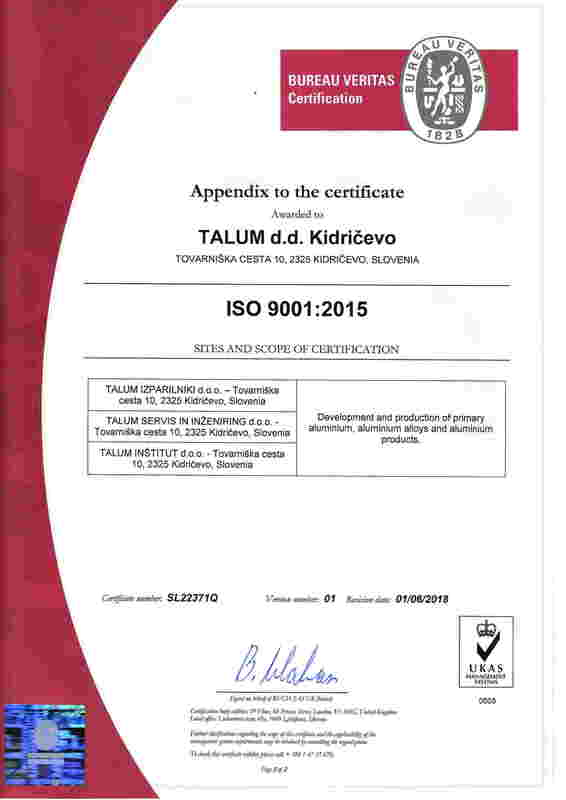 With its strategic direction up to this point and plans for further investments into the development of the company and environment, Talum proves that it can be trusted, not only by the local environment, but mainly by its employees, business partners and customers. 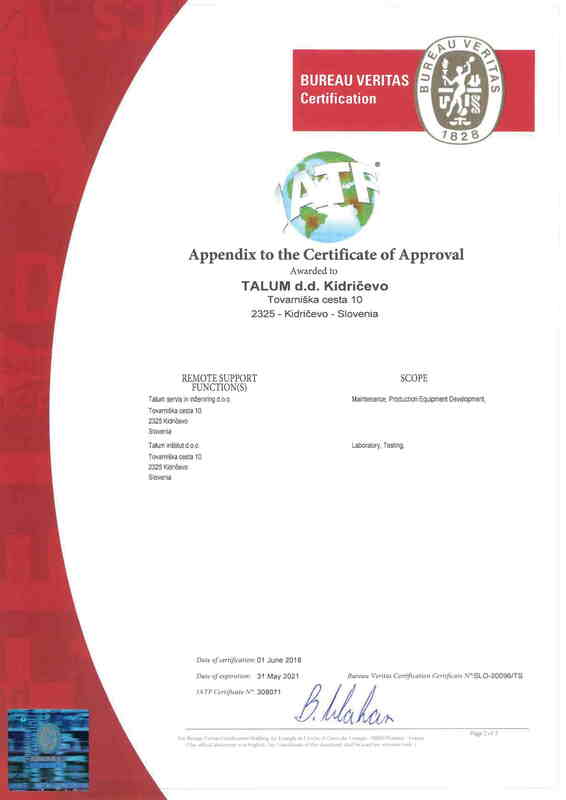 All subsidiary companies in the group Talum have obtained the Environmental Permit from the Ministry of Agriculture and Environment, the Agency of the Republic of Slovenia for the Environment. 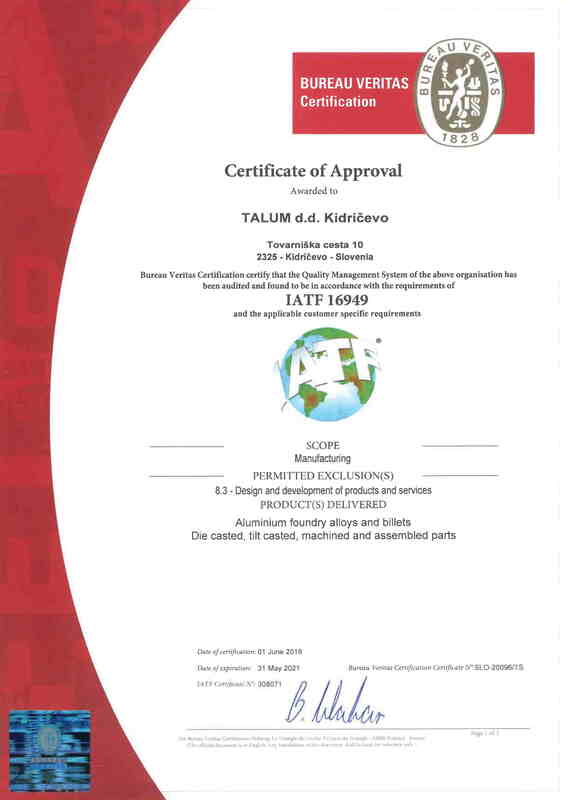 This is yet the additional confirmation that the group Talum operates in the right direction regarding the development. Public information on safety measures of TALUM d.d. 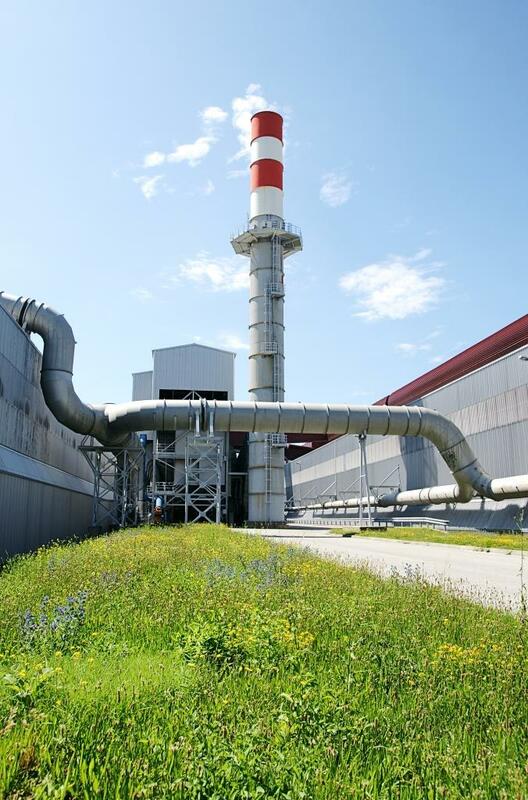 The press release was prepared under the obtained environmental permit for the SEVESO plant in 2016 and prepared safety report.